place to install a mud agitator. tools to take the sand away. option. Welcome to inquiry GN solids America for more info. fluids service company in the world. Welcome to contact GN solids America for a quotation. 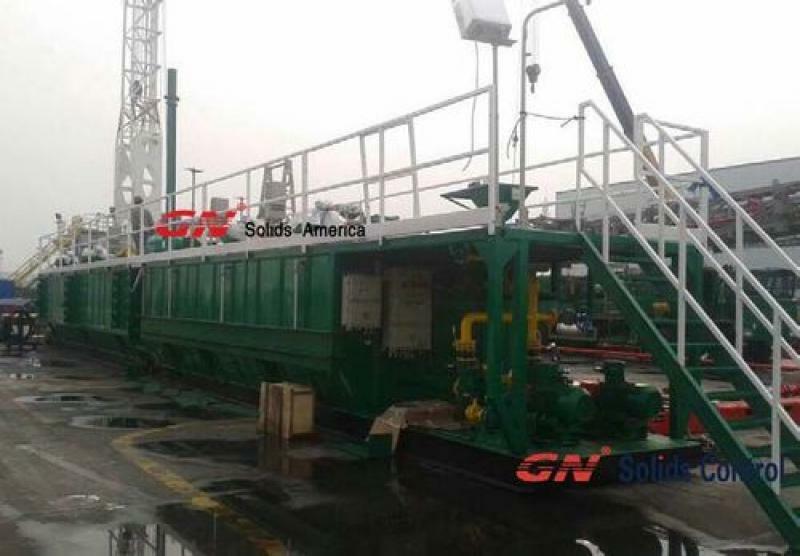 GN solids control, the mother company of GN solids America, can design and produce customized liquid mud plant/ mud tank system for worldwide clients. Mud tank system/ solids control system for oil drilling, for workover rig 350HP, 450HP, 550HP, 650HP, 750HP; For oil & gas drilling rig 1000HP, 1500HP, 2000HP. These mud tank systems are operated for jack-up drilling rigs and semi-submersible drilling rigs.Except for solids control system of oil drilling, we also produce liquid mud plant system for both onshore and offshore. • 1 ea shear pump for shearing chemicals. • Mud Gun, 51 nos. 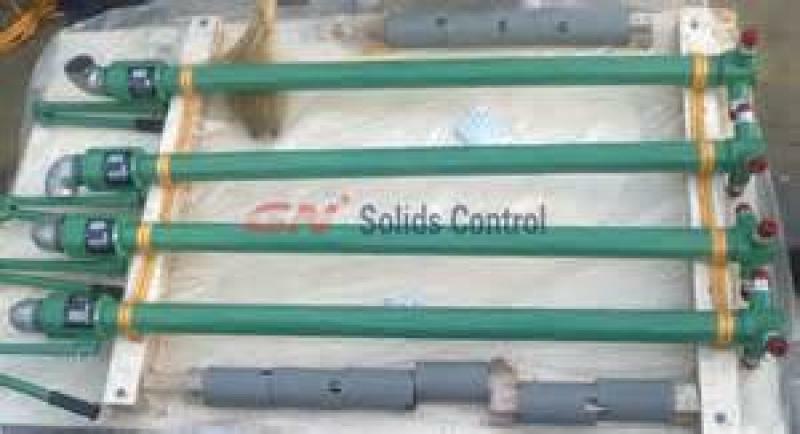 You can find all of GN project list from our official website or search GN solids control in Google for more info. 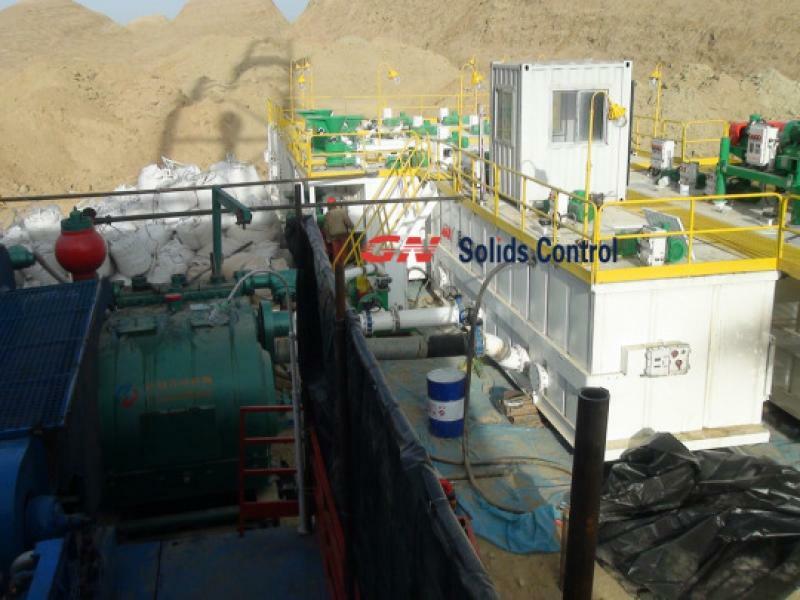 GN solids control will provide free commissioning and installation service for free for the first time installation for the clients who bought our solids control system/ liquid mud tank, our engineer team will fly to your rigsite for training. Recently we have a lot of projects for geothermal drilling mud recycling system, the particular 2 projects are: 500gpm mud cleaning system to Kenya for geothermal drilling( for more detailed info and photo, pls check our website: http://www.gnsolidscontrol.com/drilling-fluids/gn-500gpm-mud-system-kenya-geothermal-drilling), 1000gpm mud recycling system to Turkey for geothermal drilling, for more info, pls check here: http://www.gnsolidscontrol.com/drilling-fluids/gn-1000gpm-mud-system-turkey-geothermal-drilling). GNZS594E-HB linear motion shale shaker, with 4 panel pre-tentioned shaker screens, mechannical shaker deck adjustment -1 ~+5°with max treating capacity for water 1000gpm, with 2 explosion proof and rain proof vibration motors Italy Oil or US Martin brand, 460/480V/60HZ, 3 phase, 2.5HP. We can make it tandam shale shaker, triple shale shaker for option. And we have pretentioned shaker screens in stock in our Houston warehouse. We also have elliptical motion shale shaker for option. GNZS703E-HB linear motion shale shaker, with 3-panels steel frame shaker screens, max treating capacity is 528gpm at drilling mud with API40 shaker screens. Not only the shale shaker, we also provide mud cleaner( desander cone, desilter cone and underflow shale shaker 3 in 1) , feeding pumps, mud tanks, mud agitators, mud mixers, mud guns, etc. Except for geothermal drilling, GN designed mud recycling system can be workable for all kinds of drilling mud, like coal bed mathane, oil drilling, shale gas drilling( see GN drilling cuttings management system working in Shell’s rig site for shale gas drilling), diamond core drilling, and no-dig industry. Except for 500gpm/1000gpm mud recycling system, we also design for 250gpm, 200gpm, 350gpm, 500gpm, 800gpm, 1000gpm for all kinds of drilling. 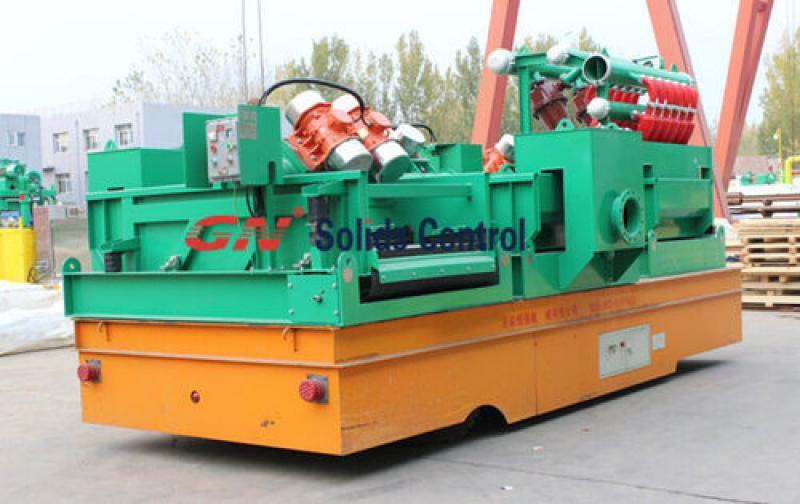 GN solids control linear motion shale shaker has been widely used in Latin America market for such geothermal drilling, and we have 4 shale shakers available of immediate shipment in Houston warehouse, pls check with GN sales at 6710 windfern road, Houston, TX 77040.